On my Rio2016 post yesterday, I mentioned that the new Presidente of Empresa Olimpica, Joaquim Monteiro de Carvalho, is the thinking head behind a very conscientious Social Movement called Rio: I love, I care. It seems simple. And it is. The mission, as its website describes it, is “To transform the carioca’s behaviour, making him aware of the importance of small gestures and good habits” . Brasil is a developing country and it has changed significantly in the last 20 years. Perhaps a bit slower than people would have liked but there are many good signs , hundreds of incredible projects, thousands of volunteers helping less privileged people. In one of its section on the website, called Rio sem lixo (Rio without rubbish), it encourages people to take photos of rubbish on the ground and post it on the Instagram with #Riosemlixo. 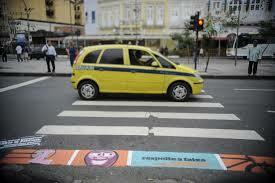 In another one, Rio na Faixa (Rio on Crossing) , it aims to attract people attention to the zebra crossing through Art. 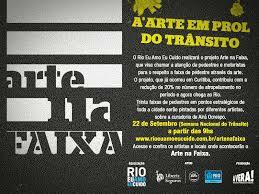 One of the biggest graffiti artists, Airá Ocrespo, is the curator of this project and has gathered 30 artists to take part. This movement aims to encourage people to throw their rubbish in the bins, clean up after their dog, keep the crossroads free. And there has been creative initiatives. Like a talking Rubbish Bin. On the video below, you can see the Bin asking people to give him some rubbish, appealing to their better sense to keep their wonderful city beautiful and clean. And when somebody touches it, it hears “you , who have just touched me, give me some thrash”. And it is not a sophisticated robot with sensors. It is actually a volunteer, sitting near by, with a microphone, keeping an eye through a small camera . Although it is spoken in Portuguese, you can easily notice how it is truly touching people, it sort of became an attraction. And the movement has its sets of values, too.